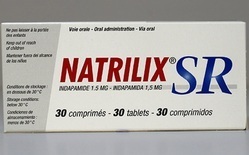 We are providing our esteemed clients with an excellent quality of Natrilix SR Tablets. For processing this sustained release tablet we utilize the best grade ingredients and latest technology in accordance with the set medical industry standards. We promise our customers that our offered sustained release tablet is well checked on quality parameters. The offered sustained release tablet is provided in a gradation of packaging options for safe transit. Along with that, our offered sustained release tablet is highly demanded for their quick result. Zytanix 5 mg Tablet is used in high blood pressure and oedema. It treats oedema (fluid overload) associated with heart, liver, kidney or lung disease. Side Effects of Zytanix are Headache, Nausea, Increased blood uric acid, Decreased potassium level in blood, Glucose intolerance, Altered blood lipids. 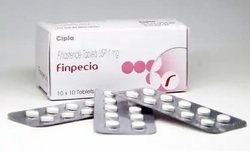 Looking for Central Nervous System Drugs ?